iNtelli-Bill Medical Billing Service Announces Integrated Payment Processing Solution Physicians Need. Physicians face cash flow problems resulting from high deductible insurance policies, but iNtelli-Bill, a division of American Medical Systems, Inc. offers Medical Billing Services and Software which eliminates these problems. iNtelli-Bill, announces new integrated Electronic Payment Processing Services doctors need. It's now easy and cost effective to offer manageable payment plans and other payment options to patients who need assistance. According to iNtelli-Bill's CEO, Bob Bortz, one of the most significant issues affecting a physician's bottom line is their ability to effectively collect patient payments. The problem will probably get worse as insurance premiums continue to rise. Long gone are the days of benefit-rich insurance policies with small copays, low deductibles, and 100% coverage provisions. In order to keep insurance premiums affordable, employers are forced to choose policies with higher copays and much higher patient deductibles. "Private individuals purchasing insurance through the ACA website find themselves making the exact same decisions", said Bortz. "Even though patients are aware of their policy provisions, few are prepared or able to pay these amounts. Unfortunately, doctors receive the lowest priority for payment behind mortgages, car payments, utility bills and credit card debt. High premiums and high deductibles have created a perfect storm, reeking havoc on physician's cash flow", said Bortz. Bortz said "most medical billing software isn't prepared to deal with this efficiently, if at all. Until the deductible is met, the doctor receives nothing. A claim must be filed, contractual write-offs taken, submit a secondary claim, and still receive nothing. This insurance dance can take a month or two". iNtelli-Bill identified the need to integrate a payment processing solution with Horizon to improve the way physician offices traditionally collect payments from patients at time of service, and after the patient leaves. In addition to credit card processing, the ability to handle ACH transactions, "Signature on File", and most importantly, provide an flawless way to handle payment plans was a must. "A complete solution involves much more than simply processing a credit card through the billing system. That parts easy. ", said Bortz. iNtelli-Bill eventually decided to partner with one of the nations largest secure transaction processing services directly. According to AMS CTO Larry Evans, our solutions are highly flexible and give AMS the ability to create a truly seamless interface allowing users the ability to perform every function from within the Horizon system. AMS is able to implement some unique design features that weren't possible utilizing portals of claims clearing houses. "Bypassing a clearing house enables AMS to create a "single sign on" environment which means the user never has to leave Horizon and never has to enter data twice", said Evans. iNtelli-Bill is very excited to roll out this fully PCI compliant system which increases patient payment options, improves patient relationships, and saves everybody time and money. Using the fully automated recurring payment plan option, physicians will see increased cash flow without the normally associated expense from sending monthly statements and ongoing follow-up on broken promises. Doctors using this system should see a marked decrease in outstanding patient balances. "In most cases, the transaction processing service we're using matches or betters the merchant fee our physicians currently pay. What more can you ask for? ", said Bortz. 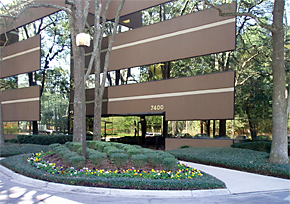 About iNtelli-Bill: iNtelli-Bill is the Medical Billing Service division of American Medical Systems, Inc., headquartered in Jacksonville, Florida. iNtelli-Bill offers full medical billing services on a Flat Rate per Claim or percentage basis which saves physicians money without sacrificing quality. For more information about iNtelli-Bill, please visit http://HorizonMIS.com or http://www.iNtelli-Bill.com or call 800-769-5554. For more information about Flat Fee per claim Medical Billing Services work please visit http://www.FlatRateMedicalBilling.com or call 800-769-5554.